A Special Evening, a long-standing concert event headlined by major entertainers, benefits the LaunchAbility Career Services program at My Possibilities. Funds raised from the event help to provide innovative training and support to My Possibilities’ clients, adults with intellectual and/or developmental disabilities (IDD.) LaunchAbility Career Services at My Possibilities, formally LaunchAbility, has a rich history in Dallas as the number one supported employment organization. In Jan. 2018, My Possibilities and LaunchAbility merged to form a continuum of services, from educational to vocational to job placement, for adults with IDD. MP is proud to announce Alliance Data as the 19th annual A Special Evening Presenting Sponsor. For nearly 20 years, LaunchAbility and esteemed sponsors have worked together to bring a legendary performance to Dallas/Fort Worth to celebrate the many milestones made in the IDD community. 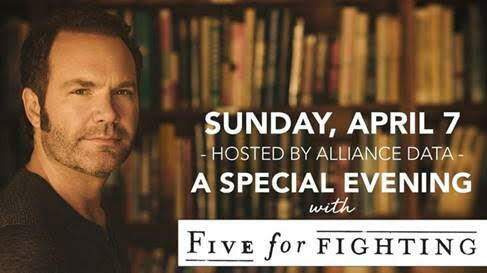 This year, we are thrilled to share Five for Fighting as the entertainment. John Ondrasik of Five for Fighting shared in an interview with KLUV the reach his hit song “Superman” has with the Autism community. For additional information on A Special Evening, such as ticketing and sponsorship opportunities, visit: mypossibilities.org/aspecialevening.